#171 Is it Summer yet? It's been a hot couple of weeks, too hot to be holed-up in the city. So off we went to find some relief along the coast. 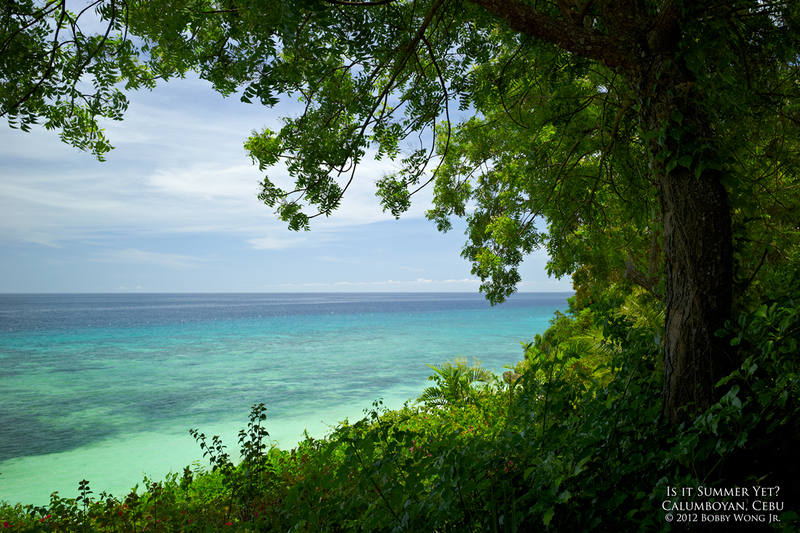 We found ourselves in Calumboyan, Cebu, about two hours north of Mactan, in a resort overlooking an emerald sea. The sun was nearly overhead when I took this photograph. But hey didn't they say it would be too contrasty to shoot at noon? Not at all when you're along the coast. Unless the sun is directly overhead, the water isn't going to shimmer emerald like today's postcard. Enjoy. At nearly three thousand meters, Mt. 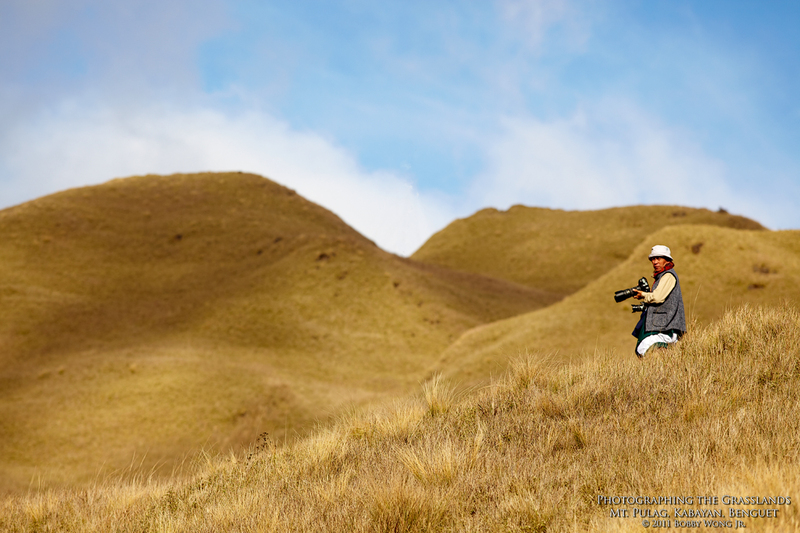 Pulag is the third highest peak in the country. The easiest way to the top? 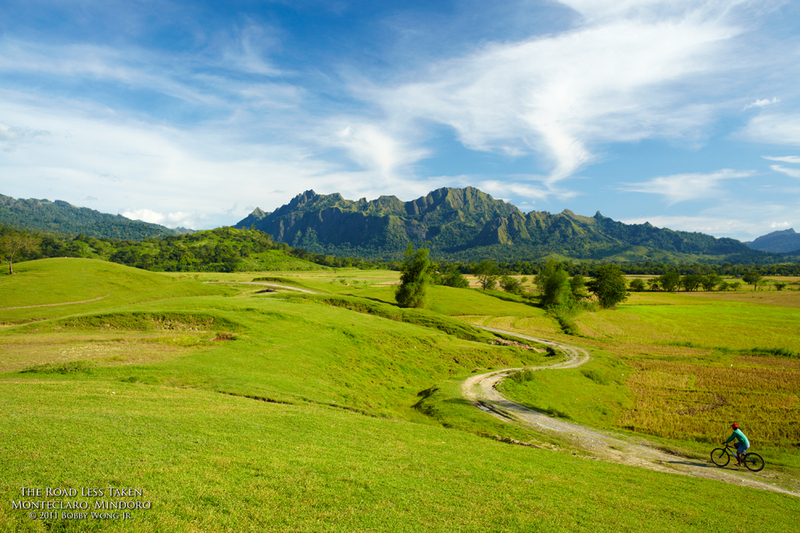 Take the Ambaneg trail, a 3-hour hike up through its scenic slopes. That trail ends in Camp 2 where most climbers pitch their tents. Feeling Superman? The dreaded Akiki trail from the other side of the mountain is a steeper and much more difficult climb, and can take twice as long for the physically fit. That trail ends in Camp 3, just below Mt. 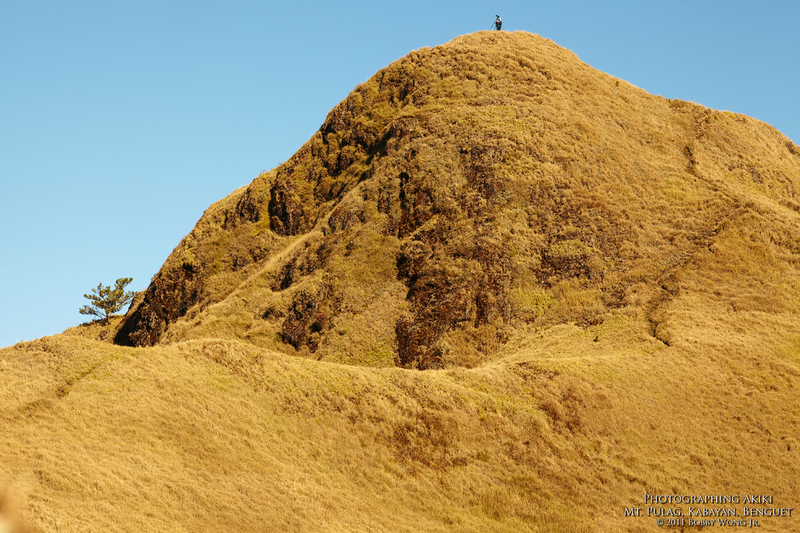 Pulag's peak. We took the Ambaneg trail to Camp 2, but from there continued to climb until we eventually reached Camp 3 at nightfall. That was, by far, the most difficult and incredible climb I've ever made. But once you're up there, the view is truly without equal. Enjoy. It was harvest-time in Mindoro when we stopped to photograph some locals at work. These folks don't own the harvest, but rather, just hired to lay out the moist grain to dry. 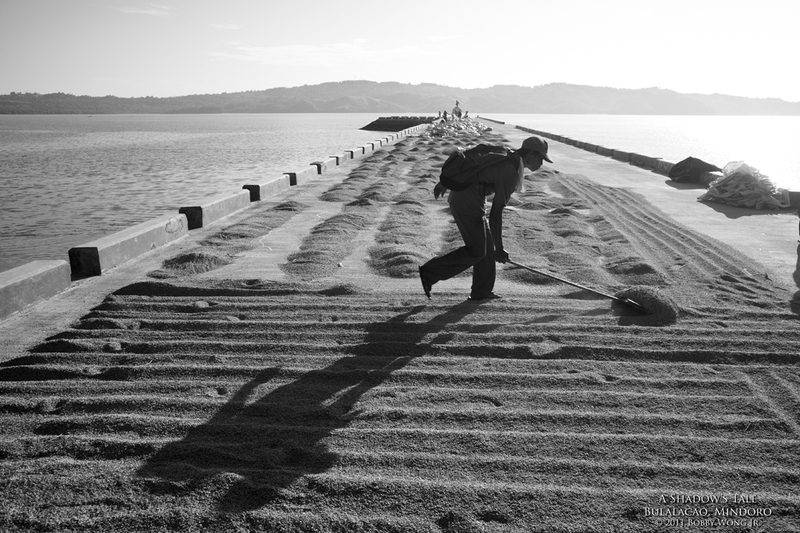 They are paid seven pesos per sack, and each sack of grain needs to be spread out to dry over a two day period. That works out to about P150 to P200 per person per day, an honest day's wage in those parts. I chatted with this chap, but only so briefly, as he had to spread his quota of grain. I wondered what his story was, until I met a 4 year old boy and his mother on the way back to the car. Yes, he had a family waiting for him, and now I had a story to accompany his photograph. But by some weird twist of fate my photograph managed to caption itself.... at first glance it showed a man hard at work, but upon closer inspection he appeared to have cast a shadow of himself carrying his 5 year old son on his shoulders. I guess that was what it was all about. Goose bumps. Enjoy.